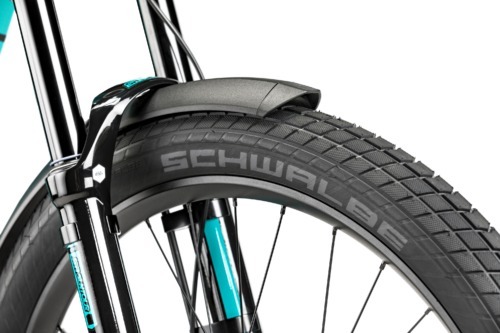 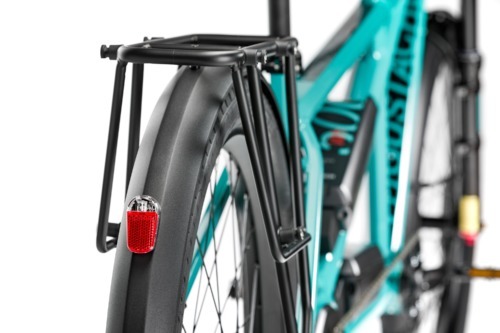 With reinforced wide tires, mudguards, luggage carriers, and powerful lights because we never want the best rides to end! 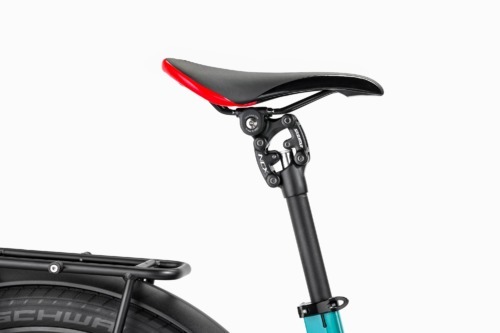 Since the second rider ("stoker") doesn't have the benefit of the front suspension like the first rider ("captain"), Moustache includes a comfy suspension seat post for the stoker to help smooth out the ride. 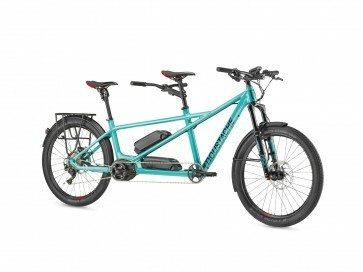 Mostache has also taken advantage of Bosch's dual battery system to provide two 500Wh batteries for a total of 1000Wh for superior extended range. 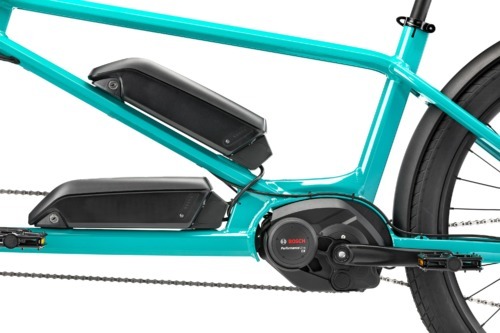 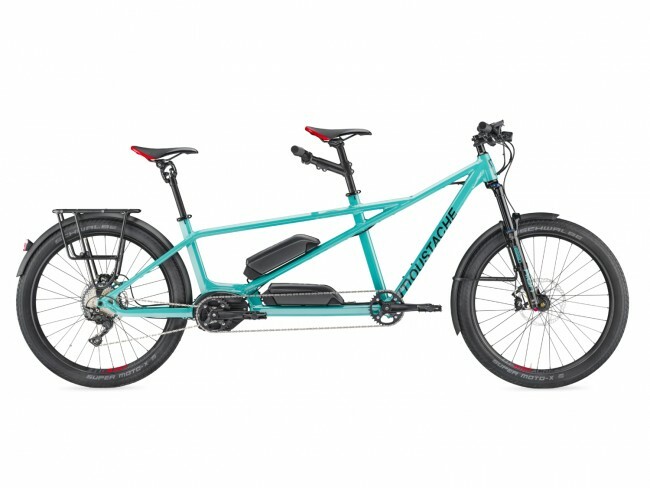 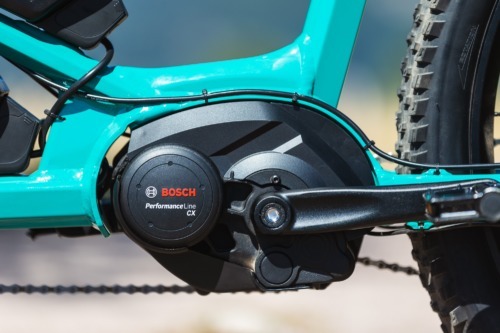 To move Samedi 27X2, they chose the reference for E-bike motors, the central position Bosch Performance CX, mounted at the rear in order to synchronise front and rear cranks and give a true tandem experience (a huge challenge for our engineers). 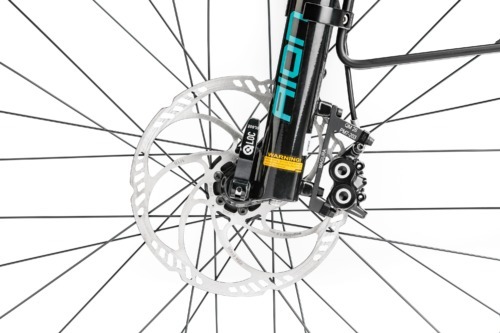 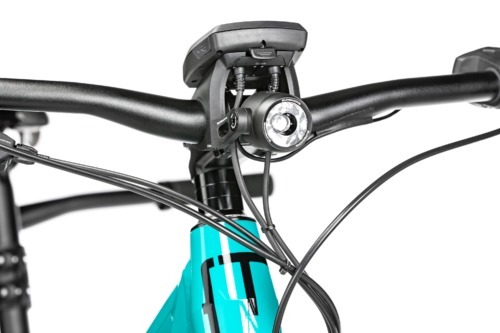 For stopping power, they opted for Magura MT5 4 piston brakes and 200mm discs. 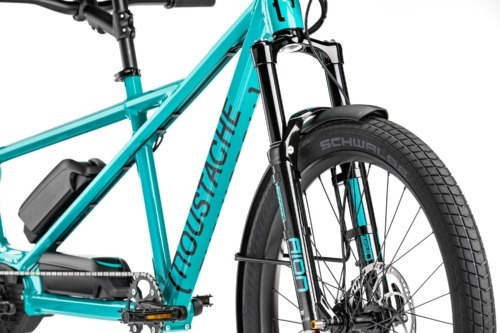 Moustache mud guard and luggage rack. 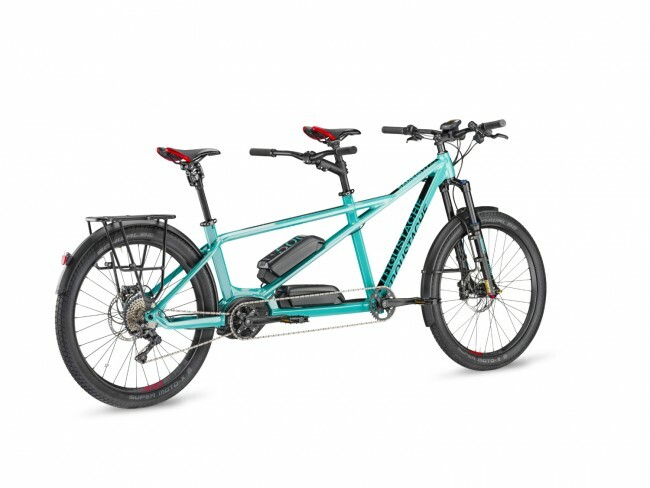 Display: BOSCH Intuvia central with separate control unit - 5 modes (Eco, Tour, Sport, Turbo, Off) - Walk assist - Information available offline - USB port to recharge MP3 player, mobile phone, etc. 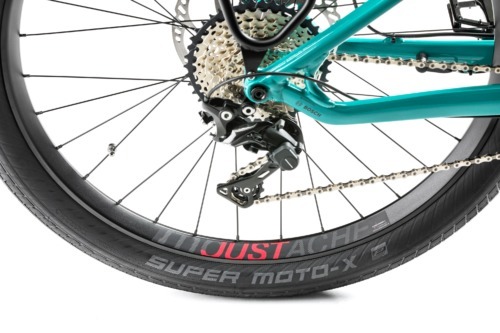 Cassette: 11/42, wide range, optimized capacity and autonomy.